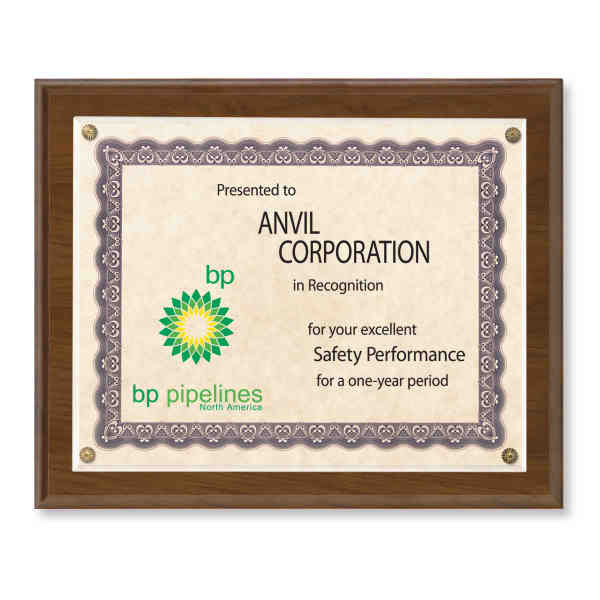 Size: 12 " x 10 " - Solid walnut or black plaque certificate holder with 1/8" acrylic overlay. Rosettes and screws packaged separately for ease in mounting. Gift box included, shipped unassembled. Size: 12 " x 10 "
10" x 8", 11" x 8.5", 7" x 5", 8" x 6"
Convert a wall award to a standing award by inserting a 3" brass easel into the award.